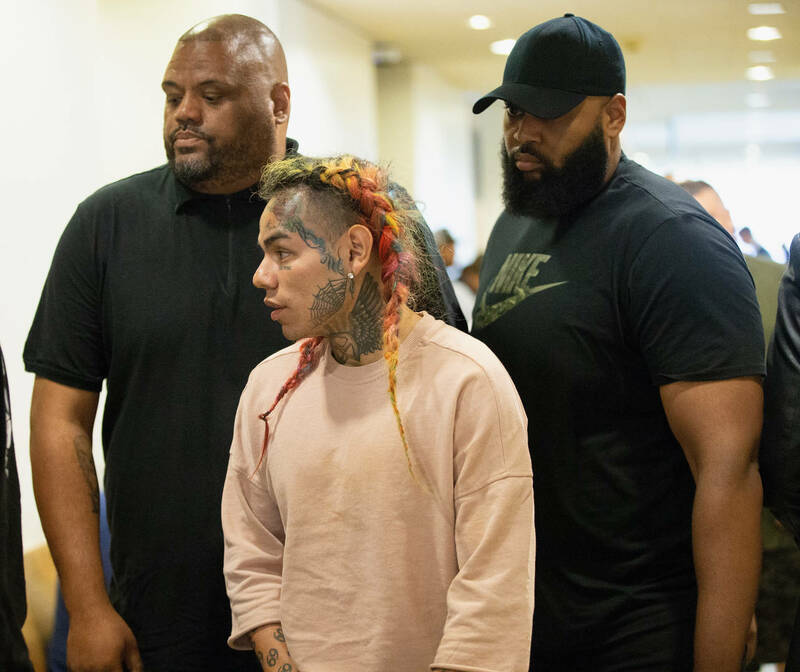 Just a days after it was announced that a third man by the name of Jensel "Ish" Butler has entered a guilty plea in the racketeering case involving rapper Tekashi 6ix9ine, it's now being reported that a fourth person is doing the same. According to The Blast, the U.S. Attorney has announced that Jamel "Mel Murda" Jones entered a guilty plea earlier today in a Manhattan federal court. He pleaded guilty to charges of racketeering and narcotics offenses, including admissions that he moved "heroin and fentanyl." The publication also states that there are tape recordings of Jones speaking with members of the 9 Trey Gangsta Bloods about killing Tekashi, real name Daniel Hernandez. On the tapes, he reportedly says Hernandez was "never a gang member." The NYDailyNews reports that Jones is the "godfather" of the street gang, making him the highest ranking member outside of prison. According to prosecutors, Jones also threatened Hernandez when he tried to remove himself from the gang by saying, “He trying to separate himself,” adding that Hernandez should be “super violated. Super duper.” The FBI reportedly then moved in to protect the rapper and when he refused to cooperate he was arrested along with nine others. NYDailyNews goes on to say that under Jones' plea deal, prosecutors won't seek anything more than 14 years in prison. He's scheduled for sentencing in July. Jensel "Ish" Butler, Kifano "Shotti" Jordan, and Hernandez have all previously entered guilty pleas in connection to this case. It's been stated that Hernandez will receive a reduced sentence depending on his cooperation and the convictions of others involved.